A Union Township man who works as an adoption specialist for the State Division of Children and Families was arrested at his home early this morning and charged with 3rd Degree Endangering the Welfare of a Child, announced Prosecutor Theodore J. Romankow. 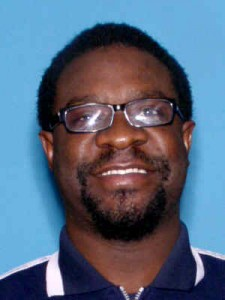 Frednel Lambert DOB: 3/12/1977 until recently also worked as a choir director for a Newark, N.J. Church, said Romankow. An investigation was launched in September 2011 after a parent of the alleged victim contacted a Springfield Police Department with allegations that Lambert had been sending sexually charged messages to her 15-year-old son. The chats, conducted through Facebook, took place over the course of a two-week period. Lambert met the teenage victim through the church. He is being held on $35,000 bail at the Union County Jail and faces up to 5 years in prison if convicted of the charge. This remains an active investigation. Anyone with information is urged to contact Prosecutor’s Office Detective Patricia Gusmano at (908) 527-4589 or Springfield Police Detective. Det. Jim Mortin at (973) 376-0400.